Thank you to all Lancaster County non-profits who have applied to become the 2019 Fall Blast 5K Charitable Partner. We will be narrowing to a list of finalists who will present to the committee on April 18th. The winner will be announced in the days following that meeting. 2018 FALL BLAST RESULTS: Thank you to everyone who joined us in making the 2018 Fall Blast a big success! 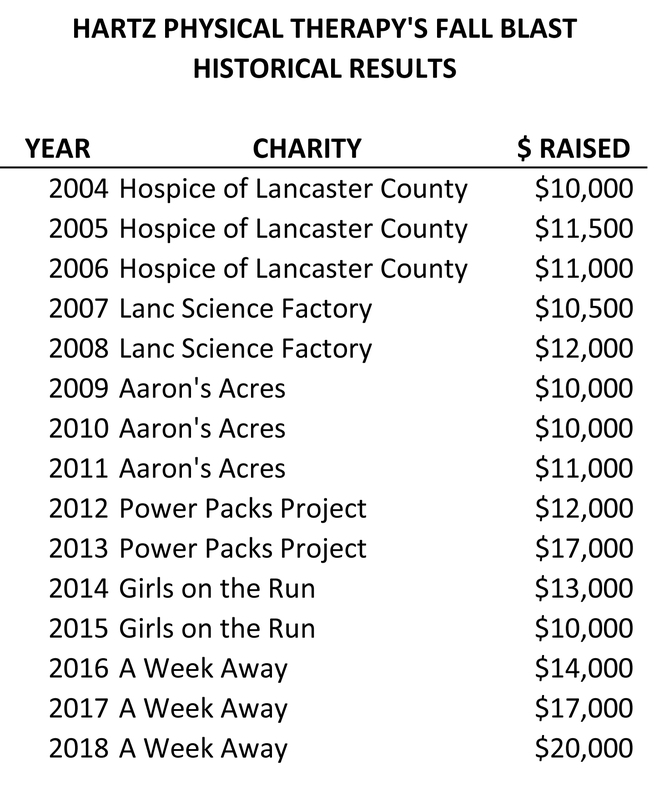 We are thrilled to announce we have officially broken our record for the highest proceeds raised in a single year! 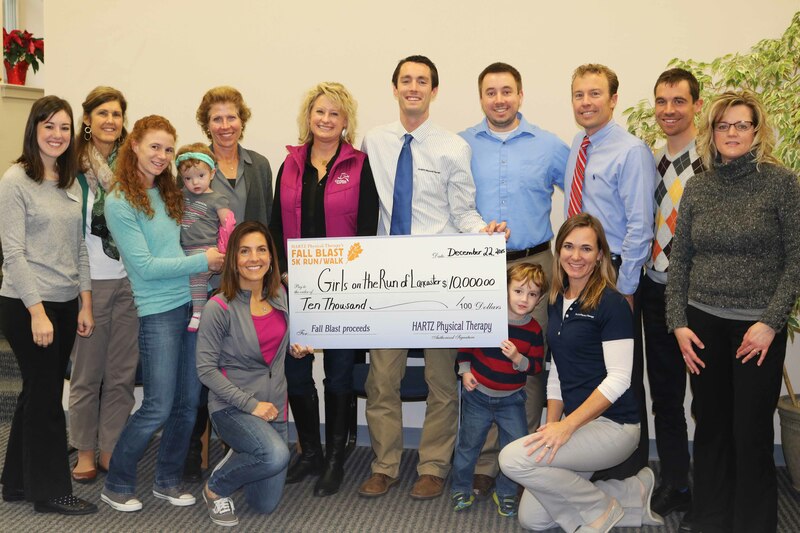 A check for $20,000 was presented to A Week Away, a Lancaster-based 501(c)3 non-profit on November 2nd, 2018. This represents 100% of the proceeds from the event. Vice-President of A Week Away, Marie McCune could not stop smiling and announced that this check alone, would be able to pay for 6-7 respite weeks for families who are desperately in need of one. The check was presented by the staff of HARTZ Physical Therapy to Lynn Walker, mother of founder, Caleb Walker, Joe Fittipaldi, AWA President, Marie McCune, AWA VP along with other volunteers for the organization. We could not have done this without the help of many. A huge thank you goes out to all who made this possible, including our sponsors, participants, spectators, volunteers and all staff members of HARTZ PT. A special thank you goes out to our invaluable Race Director, Wendy Enck, who has been working on this for the past 10 months. Together we can make an impact for so many families when they need it most!